FRIDAY THE 13TH!!! This month is gonna be so rad and it’s starting with Jawn Babbitt who will let you into his wacky world through his vivid pieces. 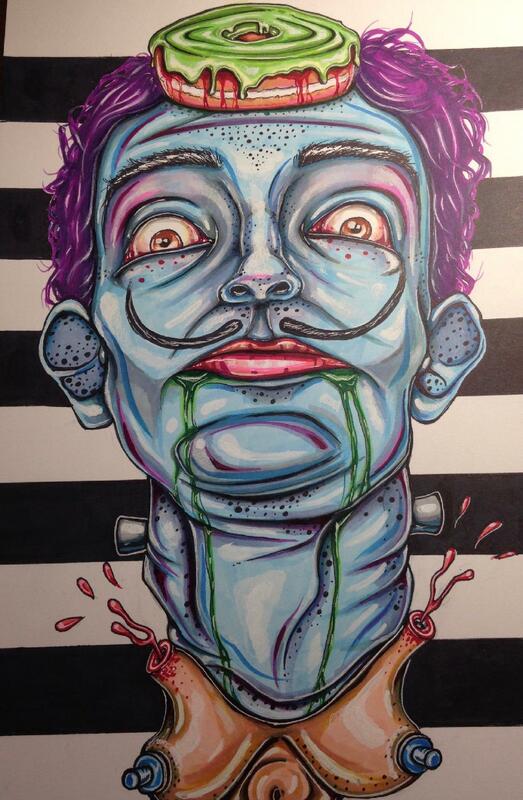 Our in house tattoo artist, Jimmy Nation will fill the gallery hall with more color awesomeness! Brent, who is now our FULLTIME piercer, will be doing piercings ALL THE LIVELONG DAY! (Check out our Facebook event for the prices!) PLUS, our lovely queens at Hausdown Productions will be here too!! We will have a prize wheel and snacks! Come out and play with us!! ← FLASH SHEETS! ALL clovers can be green, ALL others will have blackwork (stippling and line shading), around 3.5×3 in size and $60!! PLUS for every tattoo or piercing you get tomorrow be entered to win a $25 gift card! !